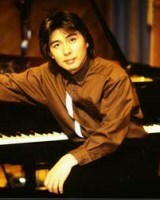 Swing pianist Mitsuaki Kishi was born in 1961 into a musical family. Heavily influenced by his father, who is also a musician, he turned professional while he was still in high school. 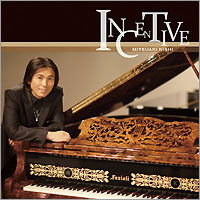 Beginning with his 1997 debut album Just for Lovers, Kishi has released nine albums as a leader (as of 2007), and three of them earned the coveted "Swing Journal Gold Disc" status. Kishi has performed and recorded with renowned jazz artists such as Bucky and John Pizzarelli, George Mraz, Harry Allen, John Clayton, Jeff Hamilton, Peter Washington, Grady Tate, Ernestine Anderson and Howard Alden. 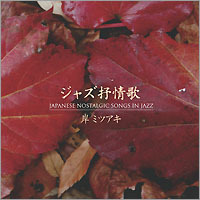 Eschewing the bebop and newer jazz idioms, Kishi's style can be described as "contemporary swing." It may sound a bit anachronistic in this time and age, but his music is nothing but. The self-imposed restrictions on musical idioms and phraseology do not inhibit his creativity at all, and his CDs and live performances demonstrate that a lot is possible in the style of "swing." Kishi has beautiful touch and amazing technique. Reflecting his irrepressible optimism, sunny dispositions and a strong sense of humor, his music always touches you in a positive way.